In one of the most iconic aircraft photos of WWII, this is the B-17 ‘All American III’ – photographed by Lieutenant Charles “Cliff” Cutforth, a crew member aboard the B-17 ‘Flying Flint Gun’ which was on the same mission to Tunisia, on 1st February, 1943. The incident inspired the 414th Bombardment Squadron’s emblem, an image of a puppy praying atop an aircraft’s tail section. 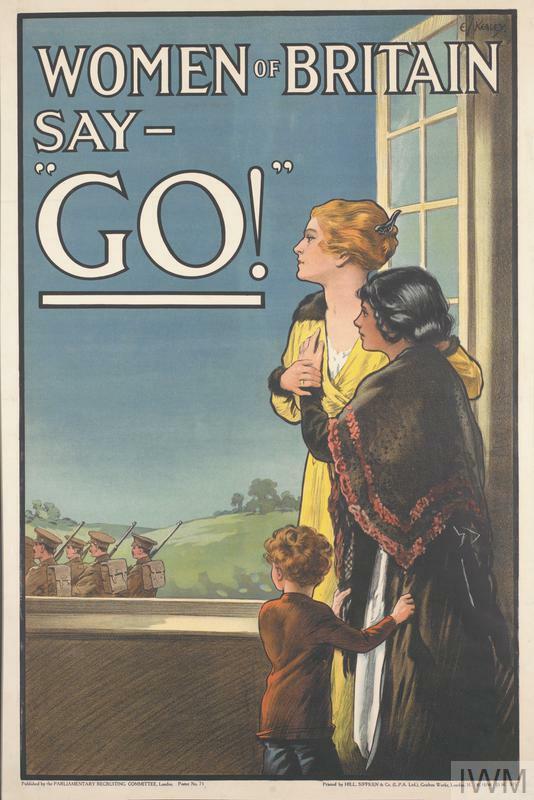 The whole episode is thought (reliably) to have been the origin of the phrase, “flying on a wing and a prayer”. “Long after we had left the target, and having sustained more fighter attacks, we saw two more [Bf 109’s] climbing about two miles to our right,” Burbridge recalls. Emphasising that both he and Nuessle “were gunners when not doing our other duties,” Burbridge recalled, “between our own fire and fire from the lead ship, we managed to hit the Jerry going after the lead ship. He was last seen going down smoking off in the distance.” The other fighter kept coming toward them and “his wings looked as though they were afire from his flaming guns.” When the German pilot was about 300 yards away he began to pull down and roll away from the ‘All American’ after his attack. When other crews saw that the Fortress was still airborne, “they put the crippled All American in formation and stayed with us until we were out of enemy territory,”. 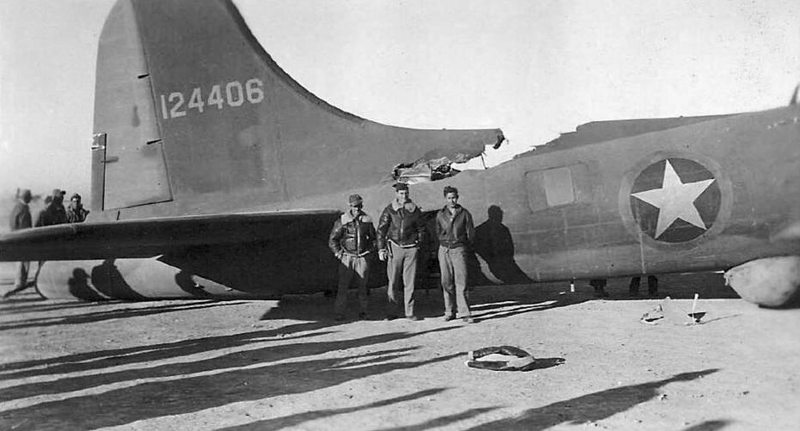 The American fighter planes also pulled in closer to the stricken aircraft and provided overhead protection. After the plane had eventually stopped, the crew safely climbed out and the ambulance was waved off as it wasn’t needed. Several pictures were taken of the damaged tail section, which incredibly fell off when ground crew personnel climbed aboard to inspect it. Pilot – Ken Bragg Jr.
Copilot – G. Boyd Jr. Ground Crew Chief – Hank Hyland. An American soldier ponders a huge portrait of the ousted fascist dictator Benito Mussolini that has been removed from his offices inAnzio, Italy, for apparent use as target practice. 1st February, 1944. The Enterprise, February 1st, 1942. In the first strike back at the Japanese post-Pearl, the USS Enterprise launched attacks on Kwajalein, Wotje, and Taroa while the Yorktown hit Jaluit, Mili, and Makin (Butaritari) islands simultaneously. 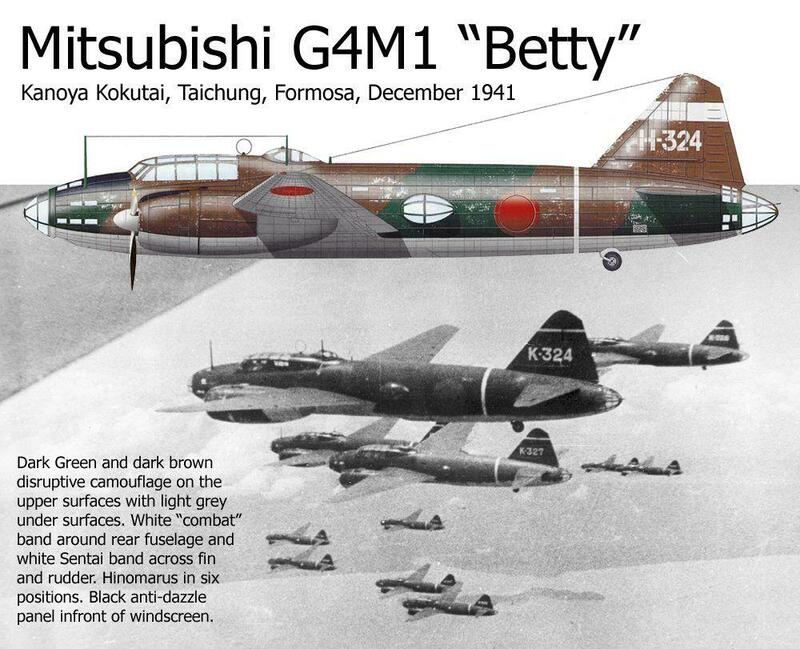 During the raids, five Japanese twin-engine Mitsubishi GM4’s (‘Bettys’’) made it through the Enterprise combat air patrol defences. All but one of the Betty’s missed the Big E, and turned away, except the badly damaged lead plane (flown by Lieutenant Kazuo Nakai) which turned back, aiming to crash on the Enterprise deck. As the Betty flew toward the carrier, Aviation Machinist Mate Third Class, Bruno Gaido leaped out of the catwalk and clambered into the back seat of a parked SBD Dauntless. 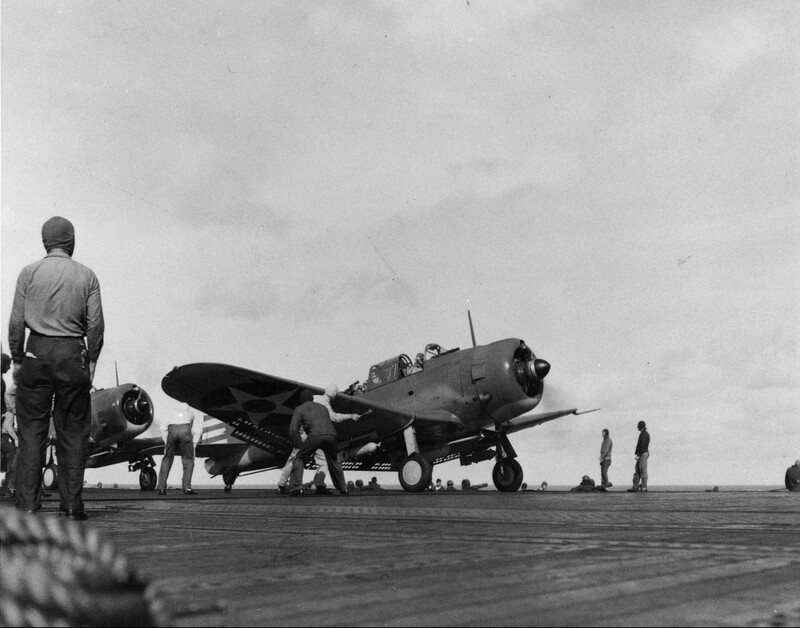 He started firing the 50 cal machine gun, emptying rounds into the low flying dive bomber’s cockpit. The Betty took severe damage and as it spiralled out of control, it’s wing sliced the tail off the Dauntless containing Gaido (below) and sent it skidding into the parked aircraft, spewing lit aircraft fuel. Gaido then grabbed the fire extinguisher from the SBD and tackled the pool of flaming gasoline…before promptly disappearing into ship, for fear of being carpeted for leaving his Battle Station. A few months later, in June of ‘42 at the Battle of Midway, Gaido was flying with a young pilot called Frank O’Flaherty (below) when their fuel tanks were hit by attacking Japanese fighters. With their Dauntless losing fuel, O’Flaherty had to ditch in the open sea, eventually both fliers being picked up by the Japanese destroyer IJN Makigumo. After two weeks of interrogation and torture, the two provided no information of value to their captors regarding the U.S. carriers that they were so desperate to find. The Japanese bound both men to a gasoline tank, weighed it down with fuel canisters, and threw Gaido and O’Flaherty over the side to drown. Japanese accounts state that both met their end ‘with stoic and dignified defiance’. Gaido was posthumously awarded the Distinguished Flying Cross. The Navy named Destroyer DE-340 ‘USS O’Flaherty’. 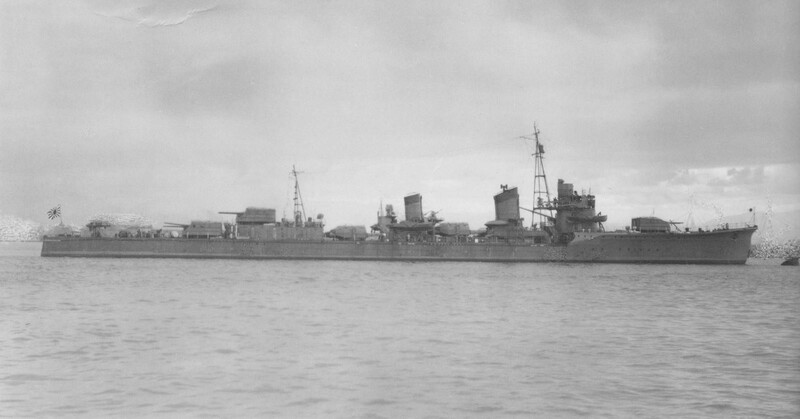 The Destroyer ‘Makigumo’ was sank by a mine at Guadalcanal …on 1st February, 1943. In the early of February 1st, 1944, the battleship Indiana (BB-58) turned to leave the cruising formation of Task Group 58.1, containing the carriers Enterprise, Yorktown, and Belleau Wood. Indiana was under orders to refuel destroyers, to be done at night to mitigate submarine attack. However, at 04:30 there was a catastrophic miscommunication on board the Indiana, resulting in her running into the Washington’s (BB-56) bow, scraping down the aft portion of Indiana’s starboard side. Both ships were damaged enough to require drydock repairs, taking both out of combat at a very important junction in the war. Indiana’s starboard hull side was staved in and ripped open. Above deck, her after sixteen-inch gun turret and rangefinder was damaged, several machine guns were destroyed, and her starboard aircraft catapult and a seaplane were torn off. In a remarkable testament to war time grit and ingenuity, both battleships were back in combat in a quite unbelievably short time. Indiana, repaired at the Pearl Navy Yard, was able to fight in the April 1944 raids at Truk while the more damaged Washington went to the Puget Sound Navy Yard, and was back in combat fitness to take part in the June 1944 Marianas campaign. Sorce: ‘Flight’ magazine February 1st, 1934. February 1st, 1943. Soviet soldiers investigate a captured German Panzer IV tank after the Battle of Stalingrad. Another nice set David, a couple of incredible stories too. Thanks, David. I find so many of these stories (even if – or maybe especially if – they end in darkness) inspirational. These men we read about had an acceptance of death that I think we’ve lost, to some degree, in modern life. Collisions at sea are always a potential hazard, especially during night ops. I see that you fitted Enterprise into todays post. Any excuse to get my favourite lady into these posts, Robert! You also managed an Enterprise the day before. Again, a remarkable post with one fantastic story after another! Some great ideas for modeling projects. Thanks, David, as ever, it’s great to have you check in! David, some very interesting stuff today. 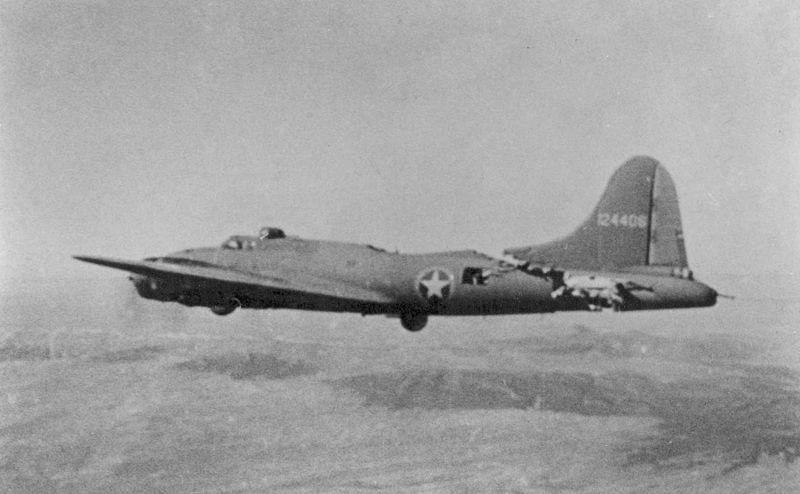 I think most of us have seen the picture of the B-17 airborne with the big slice through it, but reading about the rest of the story is fascinating. Also seeing the shear force of damage that must have been expelled by the ship collision is amazing even though also tragic. Thanks for sharing ! Wow, Pedro. High praise indeed…thank you – especially as I enjoy it so much. Pedro and David, I agree. There is so much history posted in this “diary”, even if nugget-sized, to inspire further research. But the most impressive to me is simply a reminder of what humans have to endure when madmen want to rule the world. Couldn’t make it up, Bob…and if you did no-one would believe ot. 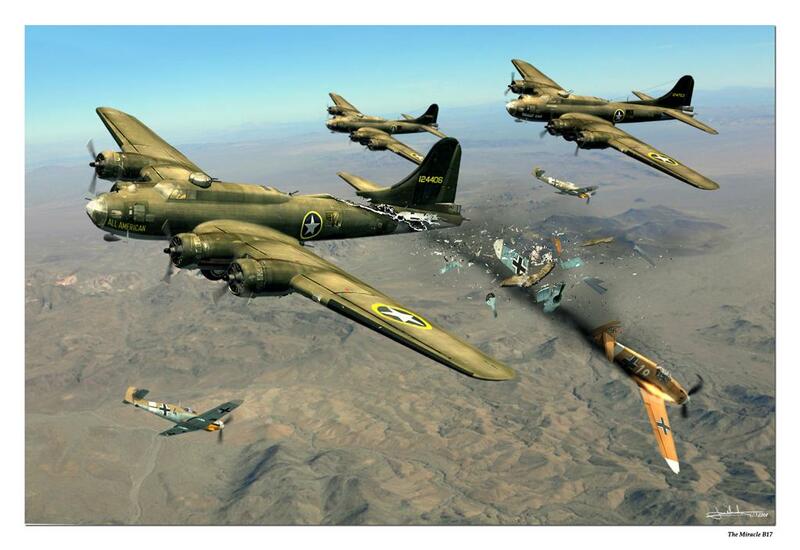 The B 17 was one tough aircraft. It vividly illustrates the ferocity of the air war over enemy territory. David, that would make for another slice and dice B 17 build on your side!! “The Tillman Rule” strikes again! (From Barrett Tillman: “You find your best material AFTER the book is published.”) How did I miss the story of Washington and Indiana, which should have been in “Pacific thunder”?????? There’s also another rule at work, Tom. The ‘Paretos’ rule; 20% of you effort gets 80% of your productivity. As I’m relaxed about the whole research thing the pressure is off. When the clock’s ticking and you have professional stress, it’s a different ball game. Great pics & stories, Doc! @dirtylittlefokker Like Terry mentioned, most or even ALL of this crowd have likely seen the iconic photo of the B-17 with its’ nearly decapitated tail. But I’d never gotten the aircraft’s name NOR had I heard the fascinating story … complete with the tail falling off on the ground, not long after landing! You can’t make up stories like that! And to learn about Airman Machinist Mate 3rd Class Gaido and his “gal,” Betty – and THEN learning of his and his pilot O’Flaherty’s sad, but VERY brave ending. WoW! Those men were REAL heroes! If that weren’t enough, the USS Indiana/USS Washington’s acci-DENT-al (sorry – I couldn’t help myself, but I really had to SCRAPE the bottom of the bowl, so to speak) “dance” story just puts this “On This Day” report over the top, so to speak. Amazing !!!!! Jeff, I’ll tell you this now, you are a wonderful asset to this site. It’s a pleasure to share a story or two. Tom, @tcinla it’s very interesting to learn about “The Tillman Rule.” Sounds like he (Mr. Tillman) has experienced his own brand of Murphy’s Laws; author-style. I’d go out on a limb to state that likely YOU have, too.